The only thing I would like to change about this would be that it has no texture. But in all reality, a Dachshund has such a smooth coat that I am ok with it. I was definitely a bit anxious doing a backlit picture. The dog is so dark and there was very little real definition in the photo I had to work from. I was unsure if I would be able to pull it off. But i have to say that I was pretty happy with it, and considering the response of the owner, I am pleased. 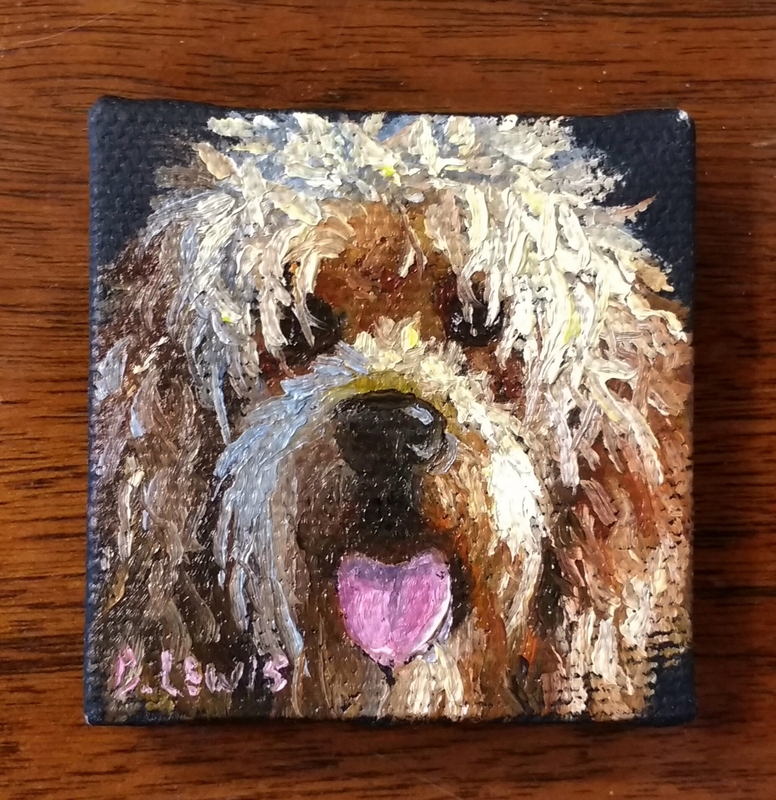 These are the last 2 pet mini paintings that I have for now. I am now working on some more landscapes. 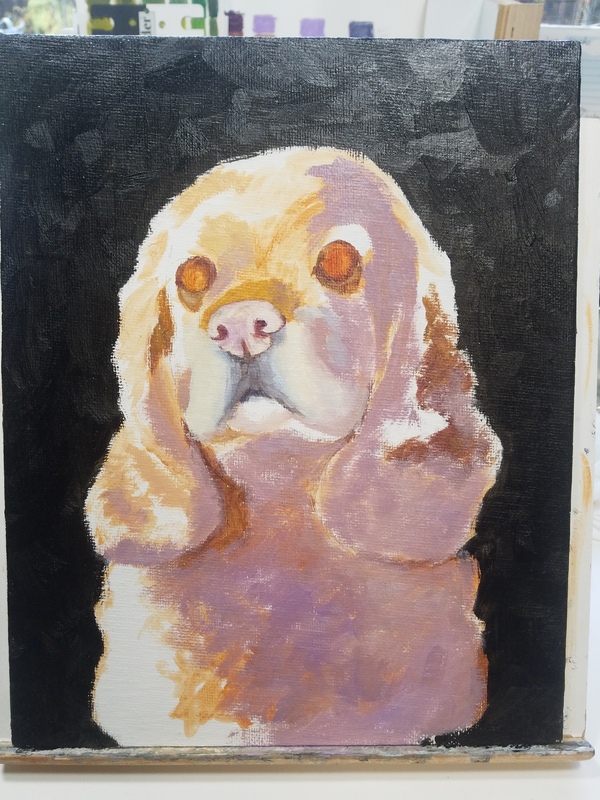 I was really drawn to do this particular painting because of the nice color contrast I had in mind for his fur. I also wanted the challenge of doing a large close up shot. It was great fun to do and I look forward to doing some more similar close up pictures of animals and perhaps even people. 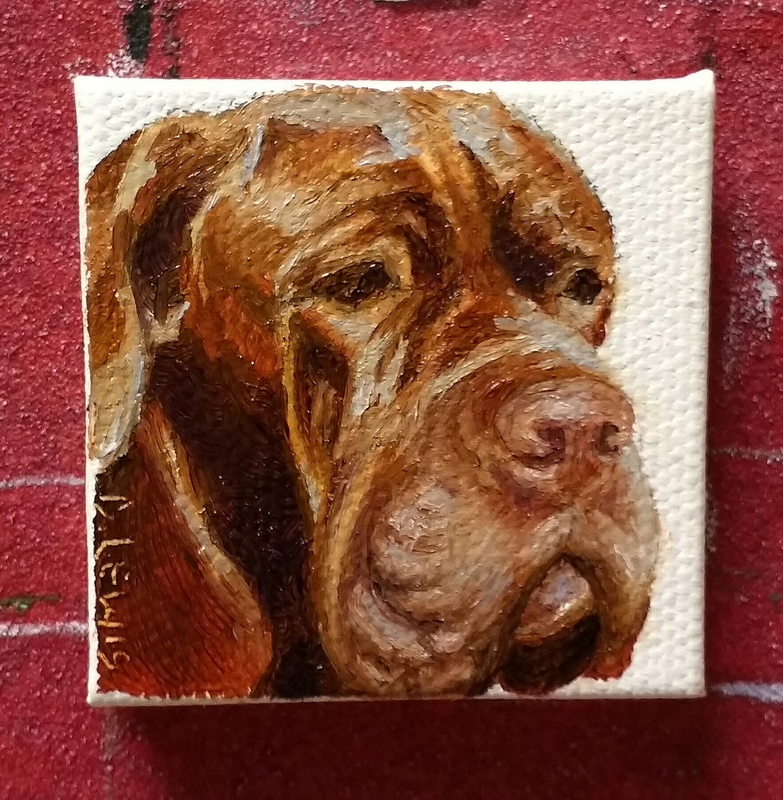 This was painted on 8×8 gesso board, which can be challenging because of the slippery nature of its surface. But I find that it is good for forcing me to stay loose with my brushwork. 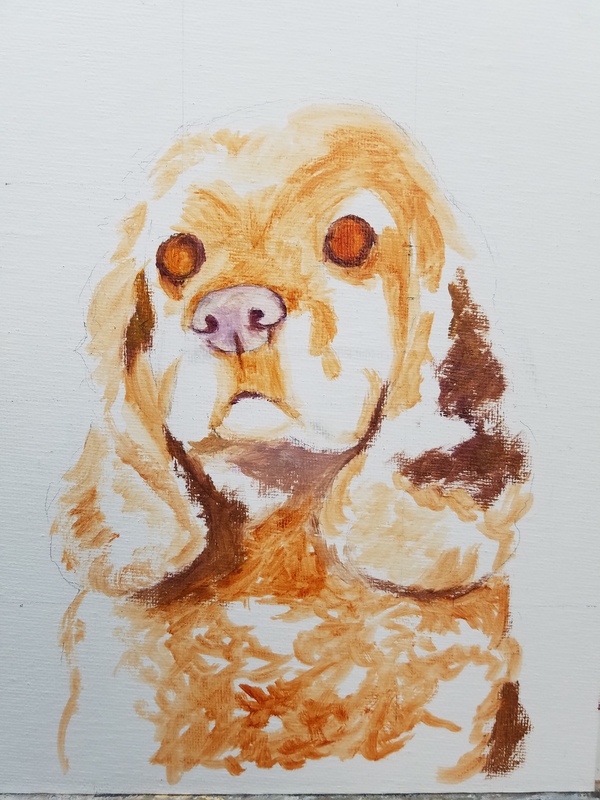 This is the second time that I painted this little cutie. My goal here was to focus on getting the subtle light changes and shape right. I love the little spot of light on her back that allows the nose to come forward. These types of lighting really capture my attention. It can be a challenge to get the value just right so that it will do what you want but it is worth the effort of practicing. I love the softness and variety of color in this too. I was interested in creating roundness with the contrast of cool and warm colors. It was good practice. 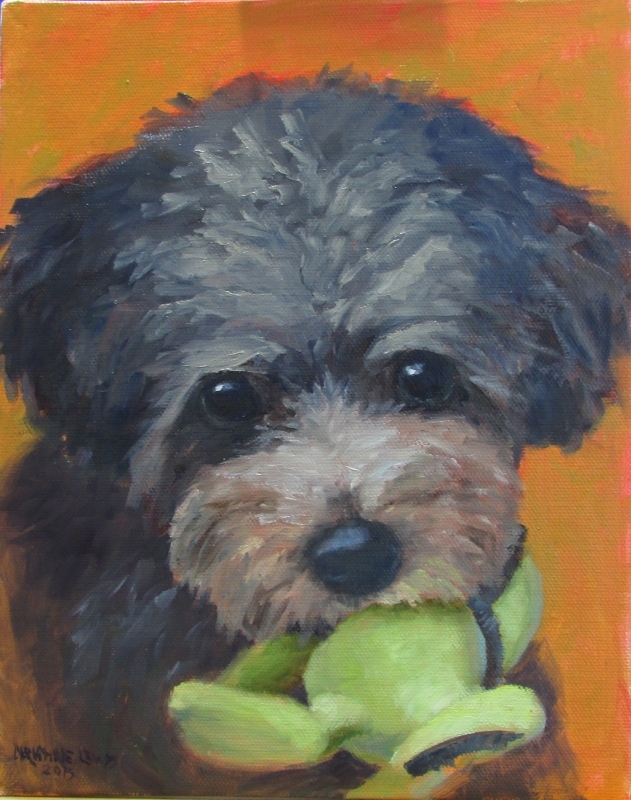 This is another shaggy dog portrait. 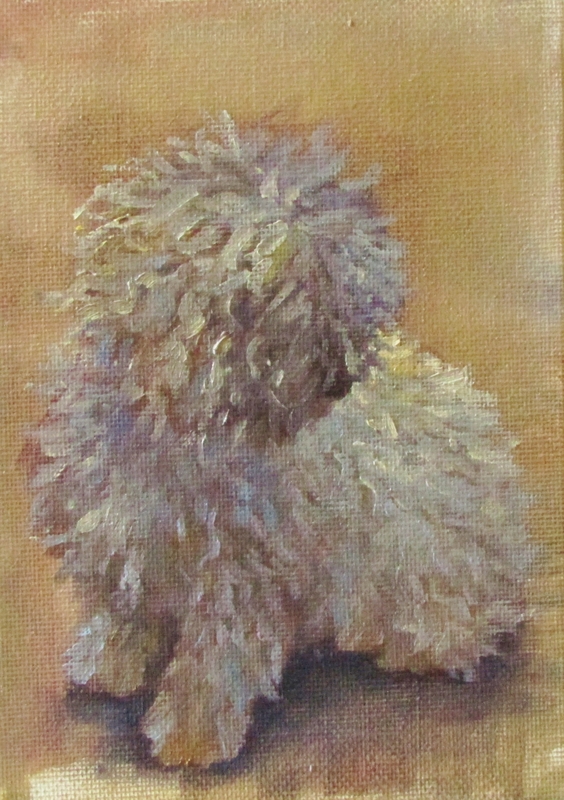 The first time that I attempted to paint one of these shaggy dogs I was perplexed at just how to go about it. It seems that as I have gotten more experience, I am beginning to see all the wonderful colors of light cast upon the individual hairs as well as beginning to better understand how light works as it falls on its subject. One thing I am learning is that no matter how many times you paint a picture, it will come out a bit different each time. It’s pretty interesting to consider this. This young man with attitude is my youngest son. 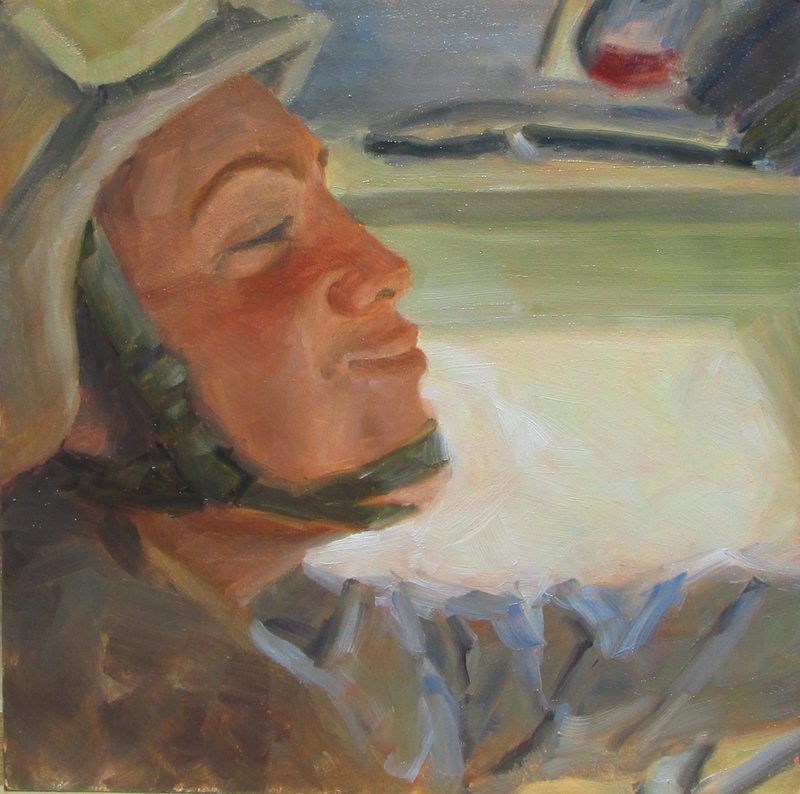 This is painted from a photo taken while he was on deployment in Afghanistan. In spite of the terrible situation and danger of this deployment and this job, it must be quite a cool feeling to be able to drive one of these big rigs. It looks like he was enjoying himself, at least at this moment. Thank God, he came home safely! This was done for my niece. It was actually one of the more difficult pets I have done. 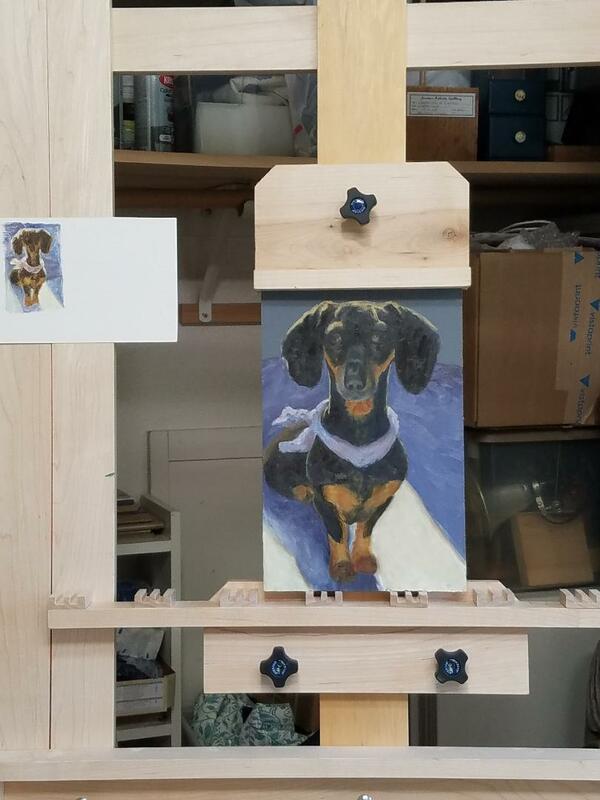 It was difficult to find a photo of her that was detailed enough to paint from. I think it turned out cute, especially with the little dinosaur toy. The background is an interesting thing, I never know what color to use. The panel was underpainted with light red and when I put ochre over it, it came out this orangy tone, which I sort of liked. It wasn’t what I was going for but I thought it worked well, so I left it. I guess it is a good example of one of those happy accidents. 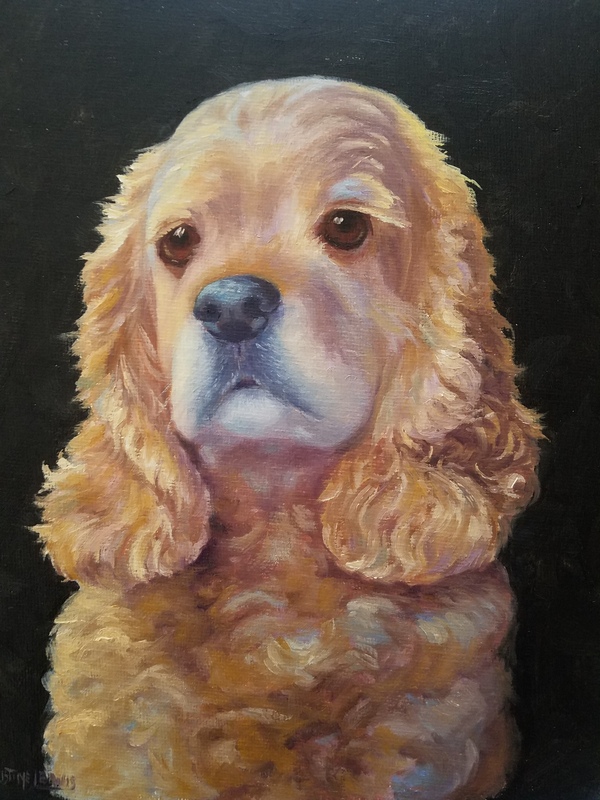 this is my first attempt at painting a portrait in oil. I have done many pencil portraits and a few in watercolor. This one was particularly fun because it is my grandson. I think that I will probably go back in and finish out the background, but I wanted to put this up here for now. 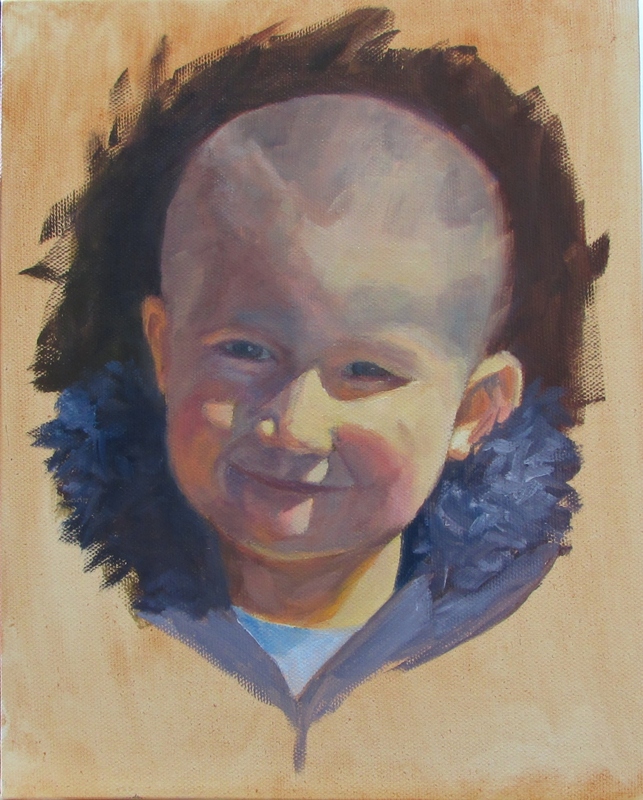 I am really looking forward to trying a few more portraits. I took several cute photos of him while on vacation last month. It will make for great practice! This shot was in such beautiful sunlight that I just couldn’t resist giving it a try.